VPS stands for Virtual Private Server. This is not a special forex term, it’s actually a common phrase used in computing. Virtual Private Servers can be used in many different ways and in no way limited to forex trading. The simplest way to describe a VPS is a remote server which you can install software on and run. In this article, we are of course looking at options for gettings a VPS for cTrader. 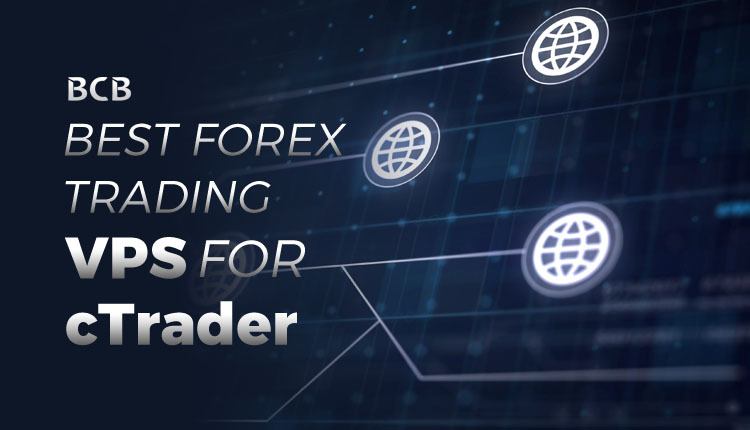 Of course, the information here can be used in the context of other platforms like MetaTrader 4, MetaTrader 5 or any other trading platform, depending on your preferences. There are a lot of good reasons for doing this and they can vary from trader to trader, but the most typical case is for running automated trading robots. Running automated trading strategies is the most common reason for setting up a VPS for trading forex. This is because you need some important qualities that ensure your robot works exactly the way you intended. Another use case would be for manual traders to backtest their trading strategies. This is because a lot of resources are required for some serious number crunching. Stability: They up and running 24/7 and managed by a provider who may offer a service level agreement or commitment. Power: In a lot of cases, a VPS will be as or more powerful as your workstation. Moreover, the VPS will only be used for your trading activities. Latency: Virtual Private Servers marketed to forex traders will be geographically located close to trading servers. In the case of cTrader that will be London. Cost Effective: You can rent a VPS instead of buying your own equipment. To get the same level of computing power as a VPS offers would be very expensive. Easy: Setting up a VPS is very easy. You don’t need to worry about electricity costs, overheating, internet bandwidth, just easy monthly payments and running your algo. Spotware has the minimum requirements for running a VPS for cTrader published on their help website. However, these are the minimum requirement that your desktop or laptop should have. But consider that your PC will be performing other tasks with those resources as well as running cTrader, such as browsing the web and reading articles like this. This means you shouldn’t feel obliged to meet the recommended requirements. But don’t forget that this depends on certain cases. Running several trading robots simultaneously will need more power than what they recommend. It’s safe to assume that the bare minimum for a manual point and click trader. With fxvm.net you could run cTrader Automate with their Basic VPS package which costs just $28.00 per month. Just like most online subscriptions, there are discounts available when buying for longer durations. VPS providers typically offer a variety of different packages for you to choose from. It’s important to be sure that your package meets the requirements listed above. In a lot of cases, this is merely a pricing tactic to push you to the most logical choice, i.e. the one they want you to choose. The cTrader servers are located in the Equinix LD5 datacenter. Because of this, you should really try and get your VPS somewhere in London. If not, the next best choice would be Amsterdam, which is very close and still an affordable option. Since there are so many VPS providers with servers in London, there aren’t many good reasons for yours not to be. Virtual Private Servers don’t come with typical operating systems that you are familiar with, such as Windows 10 or Windows XP. VPS’s will come with options of Windows Server 2008 or 2012 and even 2016. Roughly, Windows Server 2008 will translate to the equivalent of Windows 7, 2012 can be considered similar to choosing Windows 8 and 2016 would be similar to Windows 10. There are ways to get a free VPS for forex trading. A few brokers providing cTrader offer this. While the service is technically free, there is always a catch. There is another downside when using a free VPS is that free, you usually cannot choose the provider or the package you get. IC Markets will give you a free VPS on the basis that you will trade 15 Lots per month. They let you choose from one of two providers who offer servers in London to connect to cTrader. Find out more here. IC Markets will give a free VPS to traders who have more than the equivalent of 300 USD in their trading accounts and trade at least 3 Lots per month. Find out more here. There are so many different companies offering VPS’s for all kinds of purpose, not just forex trading. But it would be a good idea to find one specializing in providing services to traders. The main reason is they know what software you will be running, what you need their service for and their support will have experience helping traders like you. Unfortunately, that doesn’t narrow things down much either. We can recommend two providers, who are also verified by Spotware for providing optimal performance with cTrader. With packages starting at $25 per month, TradingFXVPS.com is one of the cheaper options available on the market. The package they recommend for cTrader is priced at $45 per month. According to the companies tests, they have a latency of 1ms to cTrader servers. Another great thing to note is they offer support via Skype. You can review their packages here. We’ve already mentioned fxvm.com in this article. They offer some of the cheapest packages out there and are trusted by a number of well-known forex brokers. While their services are suitable for cTrader, they have not been verified by Spotware (like the other two mentioned have). 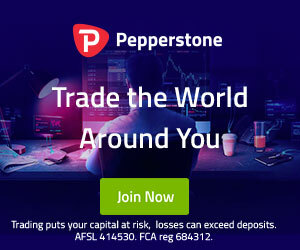 This company seem to focus on appealing to MT4 and MT5 traders. You can check their packages here. Slightly more expensive than the other two mentioned above, ForexVPS.net still comes recommended. They have an active partnership with IC Markets and this one of the free VPS options they give to their clients. You can review their packages here.